The country has the third largest oil reserves in sub-Saharan Africa, but most of its oil facilities have been destroyed in the civil war that started in 2013 – two years after it seceded from Sudan. “The field here has the capacity to produce 45,000 barrels per day and its only producing 20,000 barrels. The station wasn’t working for five years so some wells have issues such as electricity and now production here is at half capacity,” said Kuol Ajak of the operating company, Greater Pioneer Petroleum. Currently, South Sudan produces about 150,000 barrels per day, 40 percent of which goes to cover operating costs. The government is left with 90,000 barrels, but partners such as China’s CNPC and Malaysia’s Petronas take 20 percent of it. And even the remaining profit has to be shared with Sudan’s government in Khartoum as South Sudan has to use its infrastructure to process and transport its oil. Every barrel produced is vital to Africa’s youngest nation, as oil provides nearly all of its gross domestic product. 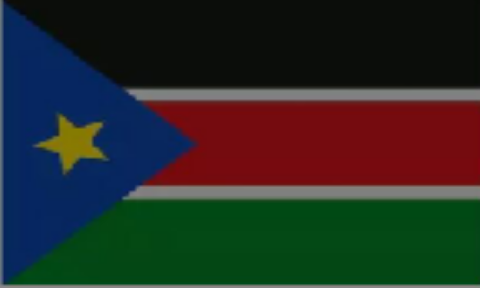 “For us, it is very vital because the economy of the country, 90 percent of it, is based on oil, it can be more,” said Ezekiel Lol Gatkouth, South Sudan’s petroleum minister.